Divers Alert Network is now accepting applications for the 2019 DAN/R.W. 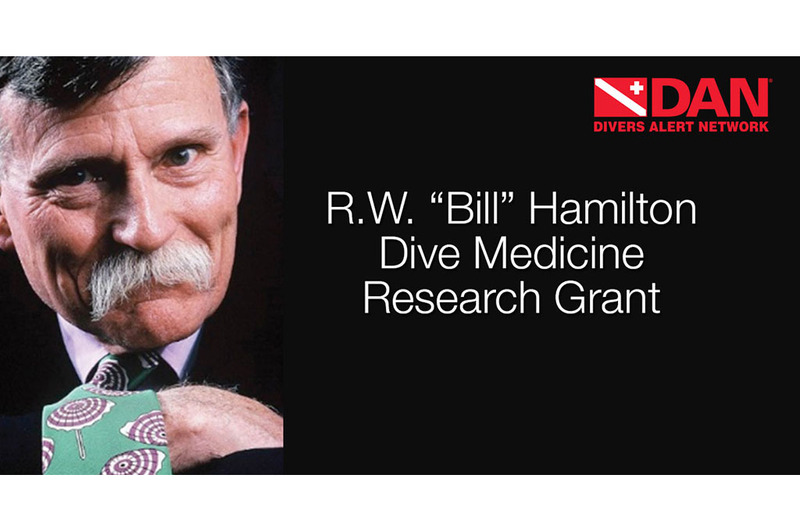 “Bill” Hamilton Dive Medicine Research Grant. About DAN: The world’s most recognized and respected dive safety organization, Divers Alert Network (DAN) has remained committed to the health and well-being of divers for 39 years. The organization’s research, medical services and global-response programs create an extensive network that supports divers with vital services such as injury prevention, safety and educational programs and lifesaving evacuations. Every year, hundreds of thousands of divers around the world look to DAN as their dive safety organization. Join the DAN community or learn more at DAN.org. DAN established the research grant in honor of Dr. R.W. “Bill” Hamilton, who passed away in 2011 at the age of 81. Hamilton, nicknamed The Prince of Gases, conducted research on dive physiology and the treatment of injured divers. He authored numerous papers, reports and workshop proceedings. He is perhaps best known for co-developing the Diving Computational Analysis Program (DCAP), a computer program that analyzes and develops decompression procedures and schedules for a wide variety of exposures to pressure. Applicants can be involved in any aspect of dive-related sciences, but the spirit of the program is to support projects closely related to Dr. Hamilton’s studies. The grant is open to applicants at any stage of their professional education or career, and recipients are required to present their results to DAN. To apply for the R.W. Hamilton Memorial Dive Research Grant, email Frauke Tillmans at FTillmans@DAN.org. The deadline for applications is April 24, 2019. The grant recipient will be notified by May 15, 2019.